Israel is a tiny state, and yet it has captured the world's attention, aroused its imagination, and lately, been the object of its opprobrium. Why does such a small country speak to so many global concerns? More pressingly: Why does Israel make the decisions it does? And what lies in its future? We cannot answer these questions until we understand Israel's people and the questions and conflicts, the hopes and desires, that have animated their conversations and actions. Though Israel's history is rife with conflict, these conflicts do not fully communicate the spirit of Israel and its people: they give short shrift to the dream that gave birth to the state, and to the vision for the Jewish people that was at its core. Guiding us through the milestones of Israeli history, Gordis relays the drama of the Jewish people's story and the creation of the state. 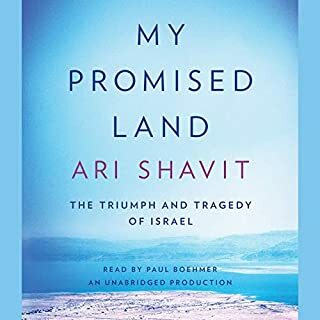 Clear-eyed and erudite, he illustrates how Israel became a cultural, economic and military powerhouse - but also explains where Israel made grave mistakes and traces the long history of Israel's deepening isolation. 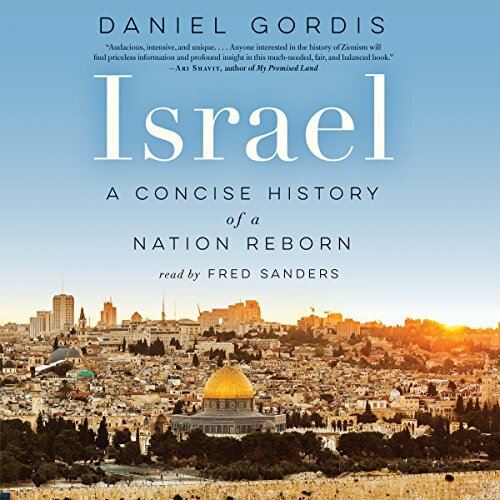 With Israel, public intellectual Daniel Gordis offers us a brief but thorough account of the cultural, economic, and political history of this complex nation, from its beginnings to the present. Accessible, levelheaded, and rigorous, Israel sheds light on Israel's past so we can understand its future. The result is a vivid portrait of a people, and a nation, reborn. Great well-written book. 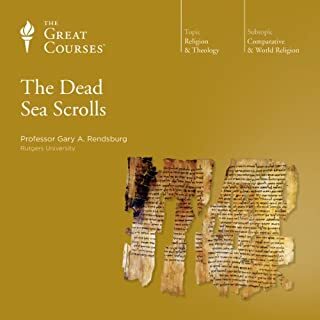 Daniel Gordis does a great job in presenting a long history in a brief manner, relating the trajectory and path that led Israel and the Jewish people to where they are today. He does a wonderful job of keeping impartial and just presents the facts of both sides of the coin, relating a people's history to their actions and describing both their successes and missteps along the way. By describing many important details in their broader context, he gives the high-level and specifics in an efficient manner. 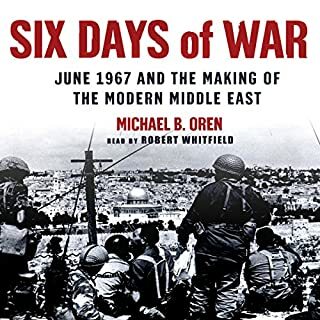 It is a great way to learn all about this country that is at the forefront of news so often, and understand how Israel got to where it is today, and suggests some views or hints to where we can go from here. Highly recommended to anyone who wants an impartial view of the history and current situation. This review opinion is my own and is coincidentally an entry for the Audible 20 review sweepstakes entry. I'm sorry, I just can't forgive the decision to cast narrators who don't know how to pronounce even basic Hebrew names or words in a book about Israel. I'm not looking for ultra-authentic native accent, but jeez, are these readings assigned to narrators by pure chance like judges to court cases? Excellent history in a format I haven't really seen done elsewhere - comprehensive but concise. 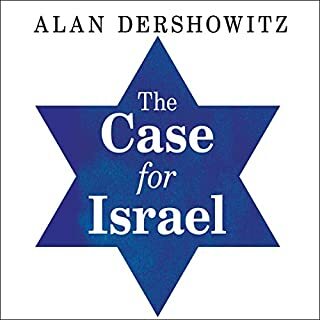 It definitely reflects a desire to tell a story from the point of view of Jews (Zionist and non-Zionist alike), but provides sufficient context generally that there's enough material upon which to base arguments against if one were so inclined. I put this under the entirely proper category of an author acknowledging from the outset that he is biased but will earnestly attempt to write in a manner that is fair to all sides. It's left to the reader to decide how well he succeeds in that, but there's no obfuscation or misinformation. This book was an awakening for me. For decades I’ve heard the stories about the Israeli & Palestinian conflict but did not understand what had caused it. I now understand a little better why the Palestinians hate them so much and I understand why the Israelis are so determined to defend the land they have fought so desperately to call home. My take away is a deep admiration for the Jewish people for their determination to create a safe haven for their culture all while being surrounded by Arab cultures that teach hatred for a people they really don’t know except for by reputations passed on from generation to generation. In the end I think I would have to side with Dennis Prager‘s summary of the conflict. If tomorrow Israel said “we will fight no more”, what would happen? If tomorrow the Palestinians said “we will fight no more”, what would happen? In the first case the Jews would be annihilated by its neighbors. In the second case there would be instant peace between the two countries. I would have given the reader a five stars were it not for the many unforgivable errors in pronouncing words. Mr. Gordon is, otherwise masterful. This is a wonderfully written book , and Gordis is able to frame the major figures and ideas which has shaped the Jewish State. His portraits of Herzl, Ahad Ha’am, Ben Gurion and Begin are particularly instructive and he uses those figures and ideas to frame many of the debates throughout Israel’s history. As for the reading, the narrator is clear. However, it is clear he does not know Hebrew as he constantly mispronounces words and even some names. While for me it was not distracting, as he is a very good reader, I think it important to learn how to pronounce the words correctly. For those of us who know only what history classes and the news media tell us, this book was extremely eye-opening. There was so much I never knew or realized about the Jewish people or Israel and its creation and fight for survival. 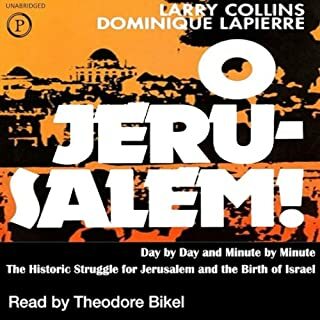 Initially I wanted to read this book to learn more about Israel before taking a trip there, but, now, as a Christian, I feel somehow a kinship with a people that I share Biblical roots with as well as a sense of pride in the country they have forged from nothing. I highly recommend this book to anyone seeking to understand the Middle East, it’s problems, and the nation of Israel. Peace. From the genesis of the Zionism to current times, the good and the bad, this book covers it all. It may have been a littlethin on detailing the most recent political differences, but the book did everything I wanted. Cleary it lived up to its award winning status. This is an excellent history of the founding of the Jewish State and it's struggles and triumphs into the 21st century. Mr. Gordis does a nice job of weaving history, characters, culture and context into his narrative. 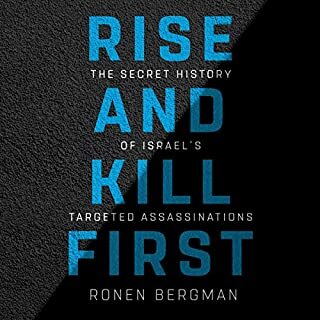 His story of the interplay of the Israeli leaders is fascinating as is his connecting the dots from 19th Century Zionism to the creation of Israel. That being said, his view of the Iran nuclear deal orchestrated by the United States seems flawed. From his perspective this is a colossal failure in the view of all Israelis exposing them to a future state with a nuclear bomb destined to be pointed at Israel. That is not necessarily accurate, but that is a small part of this superb book. Is incredibly broad and will give you a much better understanding of our world today. If you are Jewish it will give you a much larger view of the breath of Jewish existence. It covers it all -so many different perspectives of Jewish thoughts and approaches to life plus much more – it covers so many New and old topics: history, politics, literature, music, poetry, science , Technology in a very easy to listen to recording. You can take notes if you want to learn every name in person in history or you can listen more casually and learn exactly what the title tells you a concise history. Well written, comprehensive, well performed, and very listenable ! Happy to recommend this book to anyone.